InMotion is a popular, business-class hosting provider with a strong worldwide presence and a range of hosting options that cater to the needs of a beginner to an enterprise. The company has offices in Los Angeles and Virginia Beach, with the former being the headquarters. It was founded in 2001. It has more than two hundred employees as of today, with verticals supporting the entire spectrum of hosting services. InMotion always employs SSDs in favour of spinning disks that contribute to its higher uptimes and higher bandwidth. InMotion is the firm to launch the first ever Green Data Center in the Los Angeles, California. InMotion also takes regular steps to reduce its carbon footprint and is an active contributor to green missions. 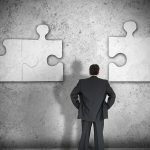 InMotion has an excellent customer service support that can be invoked directly from their website that connects a user to an InMotion representative. InMotion only supports Linux and Unix based servers and prefers installations in the LAMP stack. SSD-drive backed VPS Web Hosting in two flavours: InMotion’s SSD drives’ backed VPS hosting are available as managed hosting or self-managed hosting. The self-managed hosting VPS hosting comes cheaper as there is no server management that InMotion offers in that. Ideal for system administrators and developers, self-managed VPS hosting provides root access with command line options to manage the infrastructure. On the other hand, managed VPS hosting offers free server management which is included in its pricier bundle. It is recommended for businesses and agencies. Provides both dedicated web hosting and shared web hosting: InMotion provides dedicated web hosting through its single and dual core processor servers running the LAMP stack. It comes in a multitude of flavours (listed in pricing) that cater to different complexities of business needs. InMotion also offers shared hosting, where multiple websites can utilize a single server (supporting up to six domains in its most basic plan). 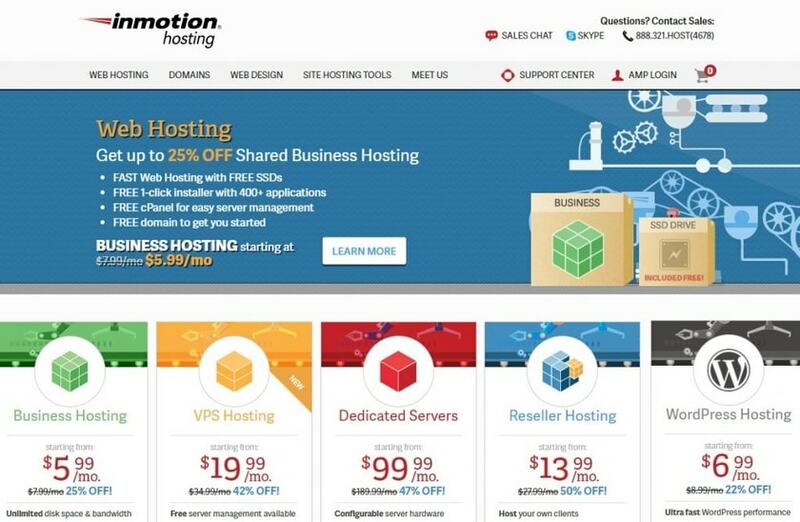 Reseller hosting available: You can also buy servers to resell them yourself, from InMotion. There is provision for unlimited email usage with each reseller hosting available with InMotion. Data-centers are PCI compliant with DR-safe options: The data centers run by InMotion are PCI compliant which means they are safe for card transactions for e-Commerce. Their data centers are also using the services of 4 different tier 1 ISP’s at any point in time. The chances of a disaster actually impacting your data is hence minimized. Support for CMS tools: Apart from the ubiquitous WordPress, InMotion supports Content Management Systems like Joomla and Drupal. Joomla is an easier alternative than Drupal while the latter is more powerful and comprehensive. Support for website builders: Apart from WordPress, InMotion supports BoldGrid and B2evolution as website building tools. BoldGrid allows drag and drop features to place elements on the screen while B2evolution is geared towards file and photo management. Support for Moodle: We were pleasantly surprised to see InMotion supporting Moodle. Moodle is a favourite of the e-Learning community that uses it to manage learning by disbursing courses, playing content and managing learners and teachers. Support for e-Commerce: InMotion supports PrestaShop and OpenCart which are both excellent tools to quickly set up your e-Commerce site with a few clicks and nudges. 90- Day Money Back Guarantee: InMotion comes with a 90-day money back guarantee which lets you get a full refund within 90 days, if you are not satisfied with their services. Hosting email and data transfer features: InMotion offers unlimited email hosting with a number of its plans. It also offers unlimited data transfers with many of its business-centric plans which is a niche offering in the hosting segment. Web design consultation: InMotion provides free consultation on the design of your website which is without any obligation to purchase. They conduct an interview with you and review your content and design before recommending changes, if any, to you. Bespoke pricing: InMotion also says that they will provide a customized quote for your business needs if you provide your specific business needs. InMotion has a wide range of features in the hosting arena that are impressive with some notable shortcomings. InMotion offers some of the best server uptimes in the hosting sector. With uptimes of 99.95% and the TTFB pegged below 500ms, its servers come across as super reliable. InMotion offers a 90-days money back guarantee if you are not satisfied with their services. This is a great offer consider the industry standard of 30 days. It provides free SSL certificates. 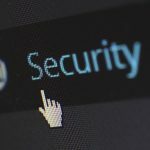 Most hosting providers levy additional fees for SSL certificates and most users end up buying them. InMotion offers free migration from an existing host. If your website is already setup somewhere else, InMotion can execute the migration for no extra cost. This is a big benefit for businesses that are already running for a while and want to consider InMotion. All of InMotion’s storage is strictly SSD-based which is great considering the additional trustworthiness that comes with SSD as opposed to spinning disk drives of the past era. InMotion allows you to select your data center. This can be important if you are focussed at a certain geography which would suggest the selection of a particular data-center over others. InMotion has a proven performance record of 15 years with excellent ratings and reviews throughout. InMotion has a well-trained customer support and they vouch that each person on their customer support team goes through 160 hours of mandatory training before taking up the role. InMotion has comprehensive WordPress management capabilities. InMotion doesn’t support Windows based servers. If your applications need to run on Windows-based machines (which may happen if they are created using any .NET technology for example), then InMotion won’t be able to serve your needs. InMotion doesn’t support any monthly billing options. The most basic payment options are yearly which may not work well with beginners. It needs phone based authentication for the first time setup. A US number is expected here, which makes the situation inconvenient for non-US customers. InMotion revises its rates upon the completion of a billing cycle or renewal. The increase in price is transparently shown though. The Premium Website Builder does not have a great library of tools and widgets. Though it supports managed WordPress hosting, its own website builder doesn’t empower a user to create compelling sites. 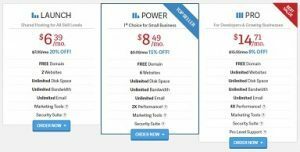 InMotion’s pricing plans can be expensive, especially for someone who is launching their first business or blog using their hosting option. InMotion doesn’t support any forum to discuss common issues faced by customers etc. which can be useful for developers who are working on it. InMotion provides a host of developer tools that can be used for infrastructure management. Access to cPanel to control infrastructure parameters, creating email and FTP accounts, installing software packages and managing security. Softaculous is a tool which is a one-click installer that allows developers to plug different applications into the website (they can choose from 400 different applications). Developers have complete access to root and all SSH configurations in the self manged hosting option. Developers have access to Joomla or Drupal if they prefer to use it for content management. InMotion supports the latest version of these tools and gives the option of interacting with their sys admin in the Power package. Developers can access a host of website builders like WordPress, BoldGrid and B2evolution. Developers get Prestashop and Opencart as e-Commerce platforms that can tinker with to set up their online shop. Since 2010, InMotion has been taking an active part in being an environmentally friendly hosting service provider. InMotion employs Outside Air Cooling technology that saves it 70% on cooling cost and also 2000 tonnes in carbon footprint every year. InMotion has also the first Green Data Center in the state of Los Angeles, USA. InMotion also advocates recycling and stopping the use of paper products wherever possible in its office premises. InMotion has also partnered with Trees For The Future, a not-for-profit organisation, in a mission to plant 5000 trees across the world. InMotion provides some of the best uptimes seen in the hosting world. Their hosting meets the industry-standard SLA of 99.95% uptime. They sustain this high uptime through a mesh of disaster recovery policies and thoughtful infrastructure decisions. InMotion works almost exclusively on SSDs which are more reliable than spinning disks (and faster). InMotion maintains connections with 4 leading ISPs at the same time. This ensures high infallibility in the servers. InMotion also maintains highly secure backups of its servers which is another reason for its high uptime.